Our Winchester studio is a true reflection of our love for dance. With visions of our dream studio guiding every decision we made, we turned 7000 square feet of raw space into New England's finest ballroom dance facility. 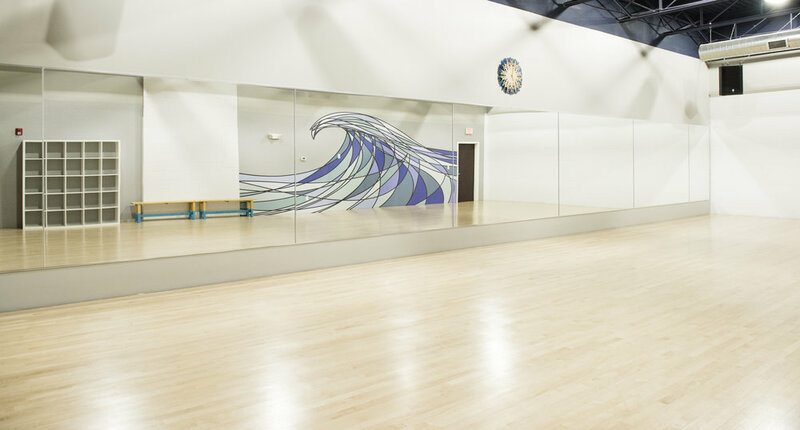 Our studio includes three professional ballrooms, each with custom-designed sprung floors to cushion joints and prevent injuries. Our top-of-the line lighting and sound system and competition-sized dance floor means that every Firebeat student can experience the thrill of a ballroom competition, the beauty of a wedding day, or the groovy vibes of a trendy dance club, all from the safety and comfort of their classroom. But the impact of our physical space goes far beyond our world-class facilities – it also provides a sanctuary where community is intentionally built and nurtured. From our bustling cafe' to our retail shop and well-appointed locker room, Firebeat serves as a home away from home for dance lovers across New England.